How many people can actually say that they got to spend a portion of their vacation in an actual Legoland-themed bungalow? My family enjoyed overnight accommodations in a fun bungalow and thoroughly enjoyed all the amenities that came along with it as well. From the moment you enter the door at our Legoland Beach Resort, you will be smitten by the decor. What’s not to love about sleeping under the same roof as all your Lego buddies? With every room having the same decor throughout, it truly was like sleeping overnight in our own private themed-bungalow! 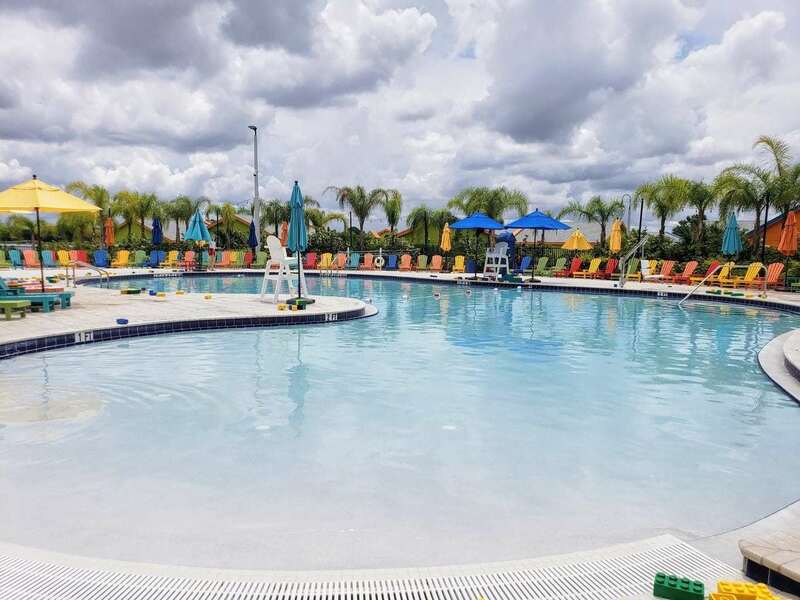 If you plan on visiting Legoland during your visit to Florida, staying at the Legoland Beach Resort is an absolute must! We were provided an overnight complimentary stay and tickets to Legoland for this review. All opinions are 100% our own. Although it was totally tempting to just stay inside our cute and cozy bungalow, we couldn’t wait to get out and about and explore everything that the grounds had to offer. Playgrounds were located all over, and there was a pool filled floating legos as well. Your kids will love seeing the giant legos everywhere! Each bedroom had its own Lego mural! When Lego decided to build this resort, they left no Lego unturned. The bungalows were adorably decorated with everything possible Lego. 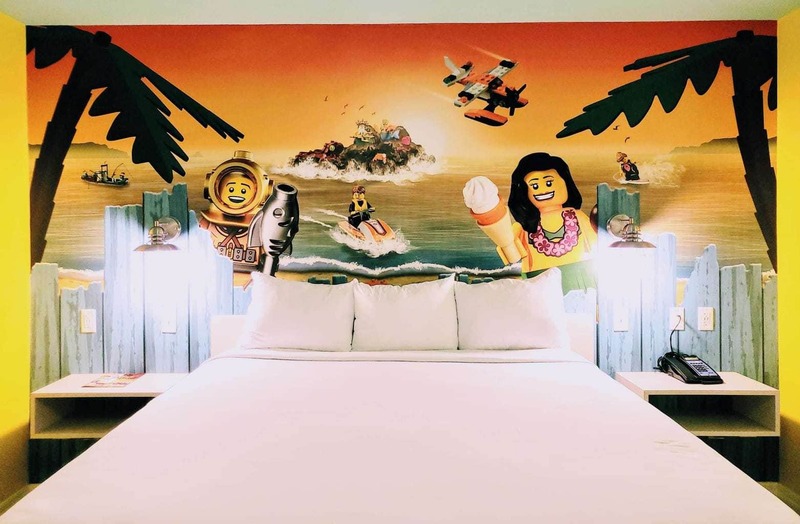 Once you entered your own bedroom, each room had a giant Lego mural painted on the wall. It was a really cool way to really encompass the overall Lego feel of the bungalow. While we loved the overall decor of our bungalow, the bright colors throughout were what really set it apart! Not only did each room bring a smile to our face as we wandered through the bungalow, but the colors were the perfect setting to accompany our beach resort stay! During our stay, we noticed the Lighthouse in the distance and decided to check it out. Not only were there a couple great dining options with breakfast included in your stay, but there was also a nice shop as well that we enjoyed spending a bit of time in. 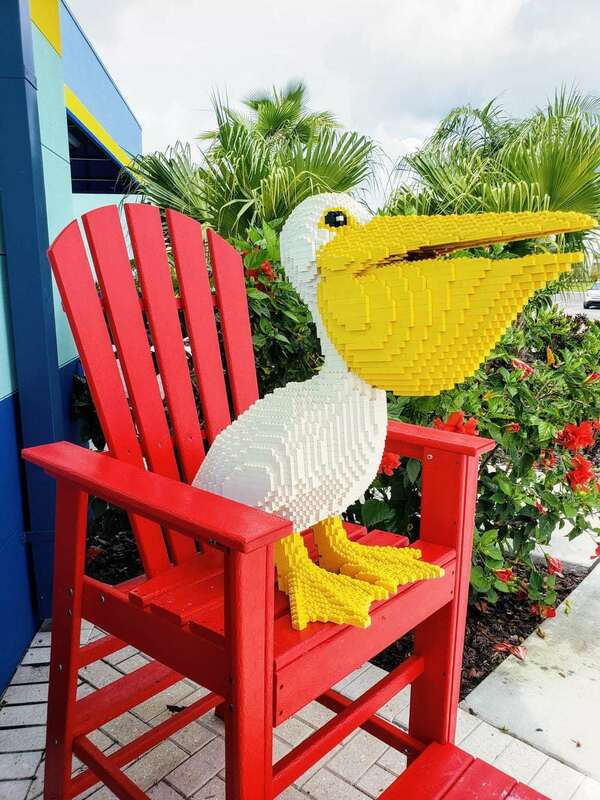 Who doesn’t need a souvenir from their awesome overnight stay at the Legoland Beach Resort? Searching For Legoland Coupons and Discount Tickets? 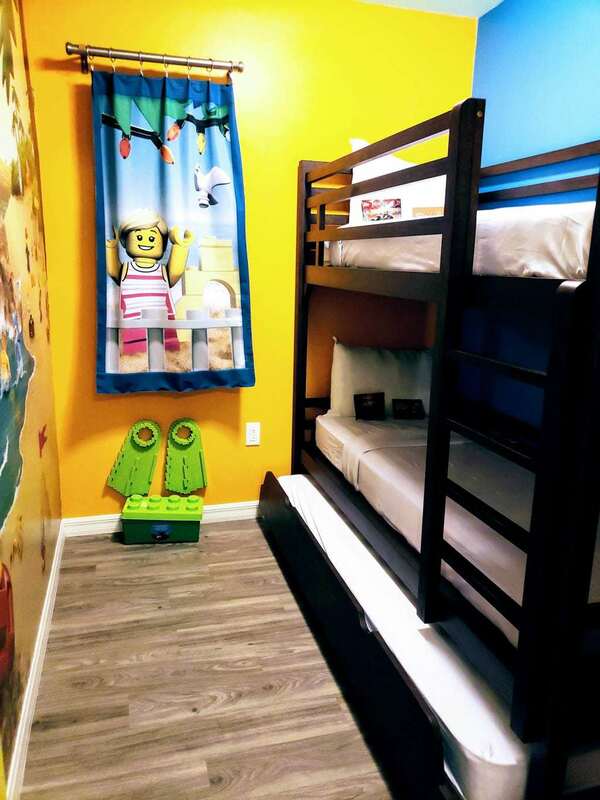 One of the best aspects of staying in the bungalow is the fact that it was located so close to Legoland. 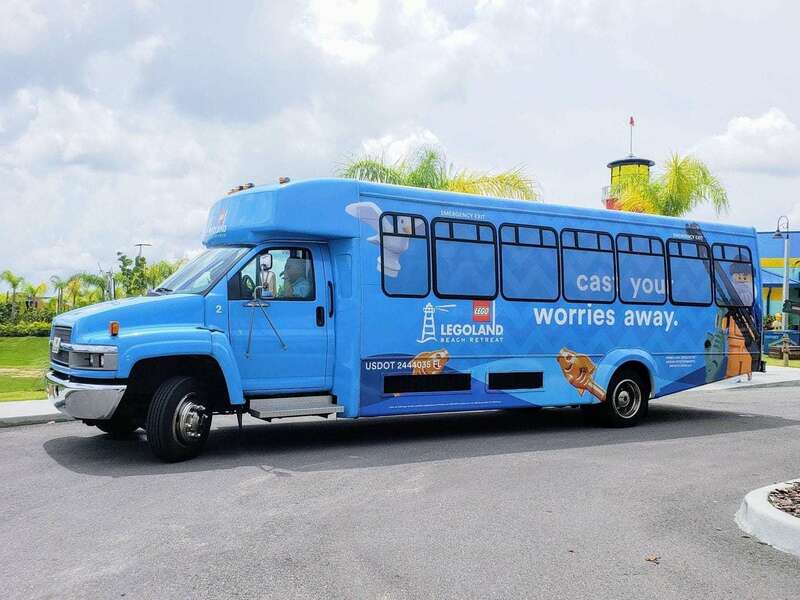 The Legoland Beach Resort offers a complimentary shuttle that will transport you right to the front door! Talk about convenience! It ran throughout the day so finding a way to and from wasn’t a problem at all! 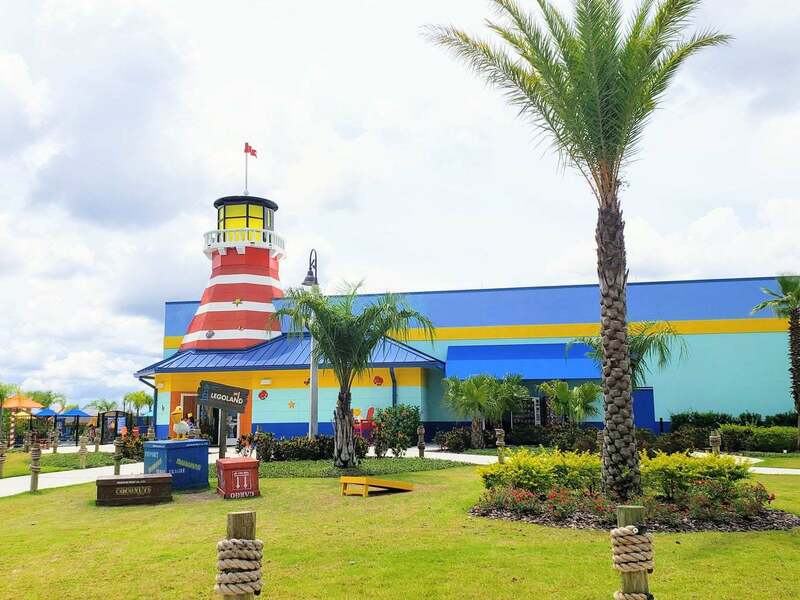 Staying at the Legoland Beach Resort meant that we were truly there for one reason, and one reason only..to visit Legoland. From the moment that you arrive, you will spend several hours enjoying, building and exploring everything in Legoland. 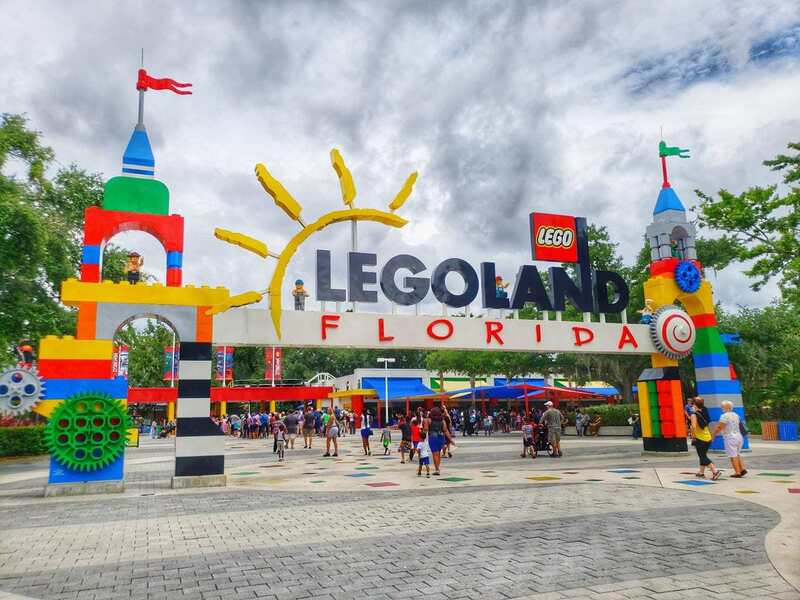 There are a lot of interactive building options for varying ages in Legoland, so if you have kids who absolutely without a doubt love everything Lego, taking a trip to Legoland is a must! You will leave no Lego unturned. You’re in luck! Legoland is known for regularly running promotions throughout the year to help save a few dollars off their admittance price. Always call ahead and ask them if they are running any type of promotions or specials. If they are, awesome! If not, there are still other ways to save. Check with authorized third-party ticket sellers to see if they are offering any type of discounted tickets. Sites like Undercover Tourist also run some great promotions and discounts on Legoland ticket prices as well. The more that you research your options, the more discounts that you may find. Keep in mind that if you are an AAA member, you may be able to get a discounted rates as well. Just ask! It’s also a little-known secret that if you sign up to get their Legoland Club Magazine for free, there may be extra coupons and discount offers in there as well that are mailed directly to your home! If you book directly online with Legoland, you may be able to get more discounts. These prices below are with the extra online booking savings added in and are subject to change. Add on the water park option as well or upgrade to a vacation package that your entire family will love! The options are endless in how you can tailor your visit to Legoland! When our time at Legoland Beach Resort came to end, we said goodbye to all our Lego friends before closing the door on our fun family adventure. Staying in the bungalow and spending the day at Legoland was a great experience and one my girls will always remember. We can’t wait to take the grandkids back next year!